Tak mieszkańcy Damaszku świętowali Niedzielę Palmową! 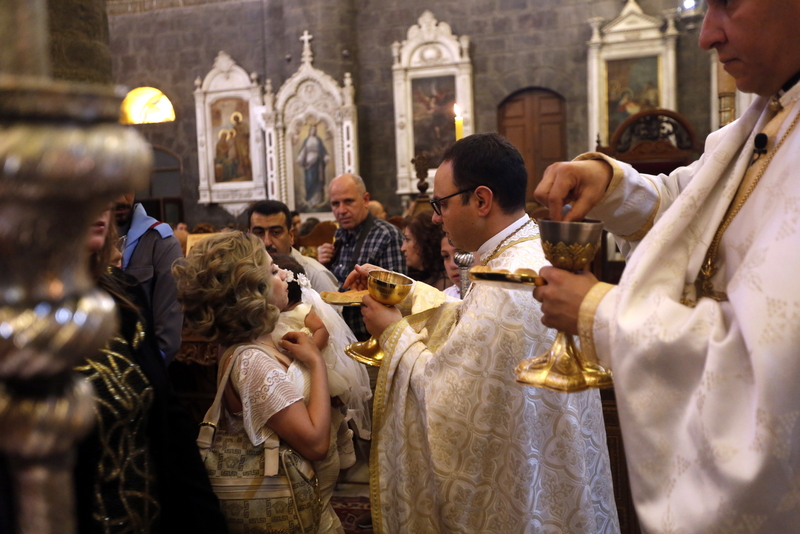 epa07505990 A Christian worshiper takes the communion from the patriarch during a mass at al-Zaitoun Church in downtown Damascus, Syria, 14 April 2019. Palm Sunday for Roman Catholic devotees symbolically marks the biblical account of the entry of Jesus Christ into Jerusalem, signaling the start of the Holy Week before Easter. EPA/YOUSSEF BADAWI Dostawca: PAP/EPA. 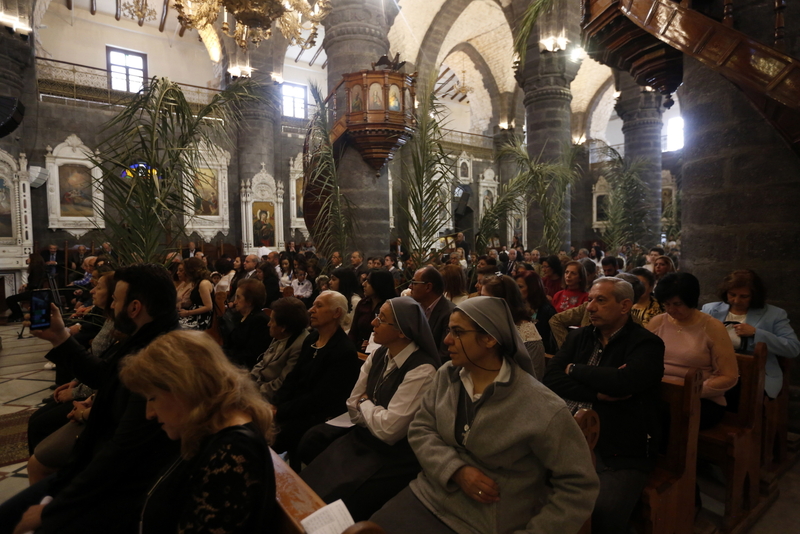 epa07505991 Syrian Orthodox Christians celebrate the Palm Sunday at al-Zaitoun Church in downtown Damascus, Syria, 14 April 2019. 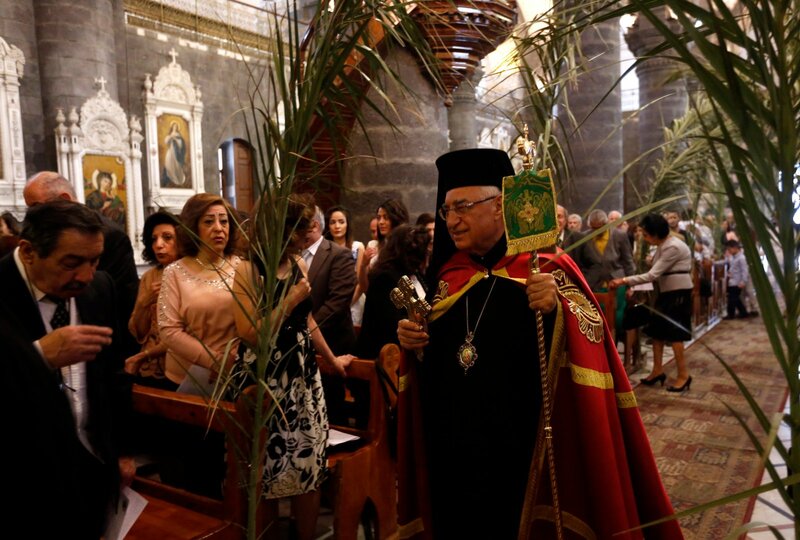 Palm Sunday for Roman Catholic devotees symbolically marks the biblical account of the entry of Jesus Christ into Jerusalem, signaling the start of the Holy Week before Easter. EPA/YOUSSEF BADAWI Dostawca: PAP/EPA. 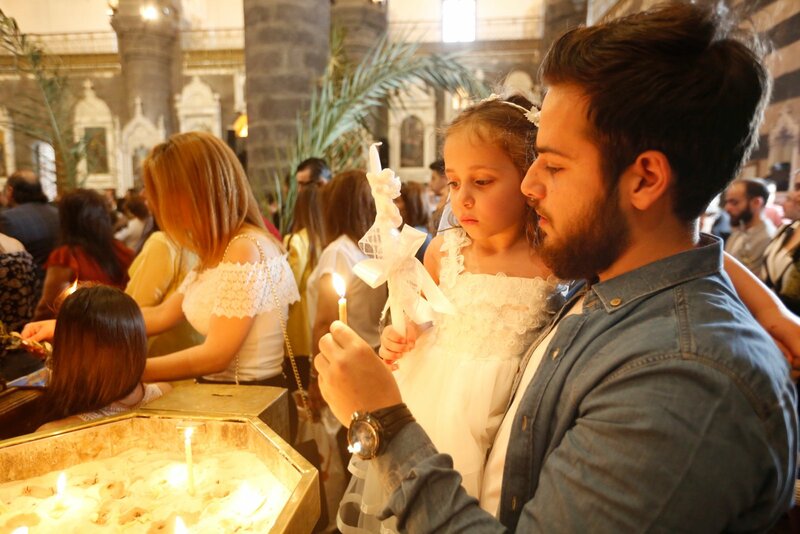 epa07505993 Syrian Orthodox Christians light candles as they celebrate the Palm Sunday at al-Zaitoun Church in downtown Damascus, Syria, 14 April 2019. Palm Sunday for Roman Catholic devotees symbolically marks the biblical account of the entry of Jesus Christ into Jerusalem, signaling the start of the Holy Week before Easter. EPA/YOUSSEF BADAWI Dostawca: PAP/EPA. 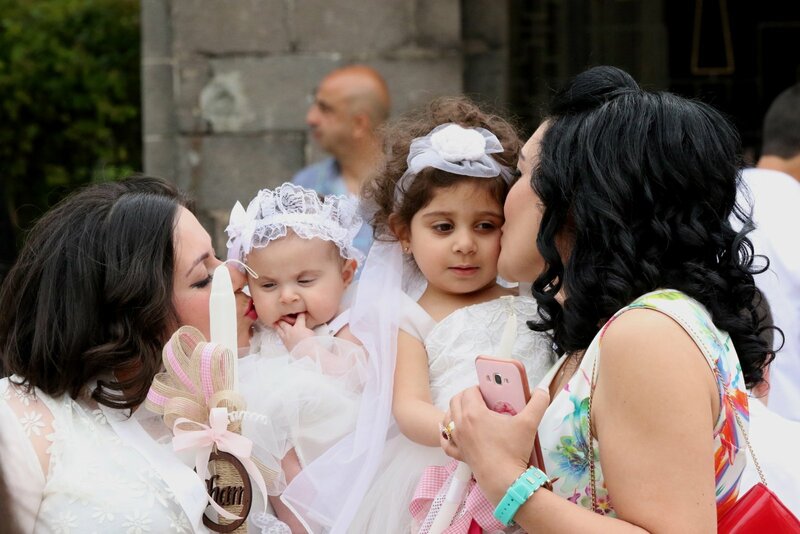 epa07505996 Christian children celebrate the Palm Sunday at al-Zaitoun Church in downtown Damascus, Syria, 14 April 2019. 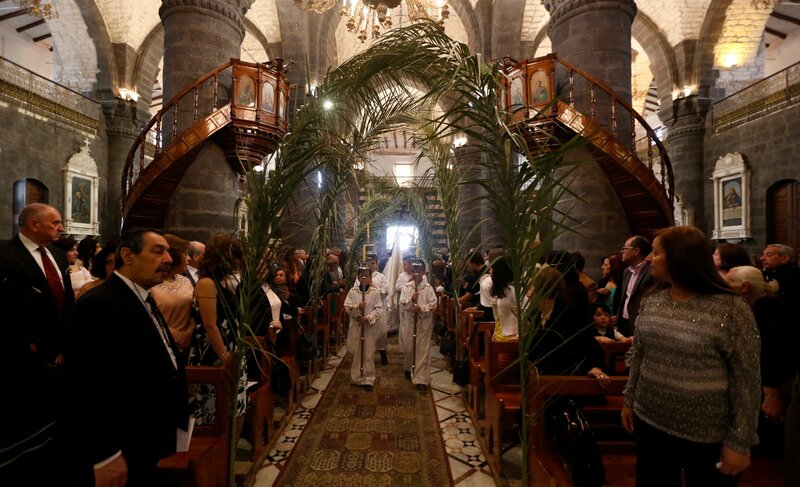 Palm Sunday for Roman Catholic devotees symbolically marks the biblical account of the entry of Jesus Christ into Jerusalem, signaling the start of the Holy Week before Easter. EPA/YOUSSEF BADAWI Dostawca: PAP/EPA.